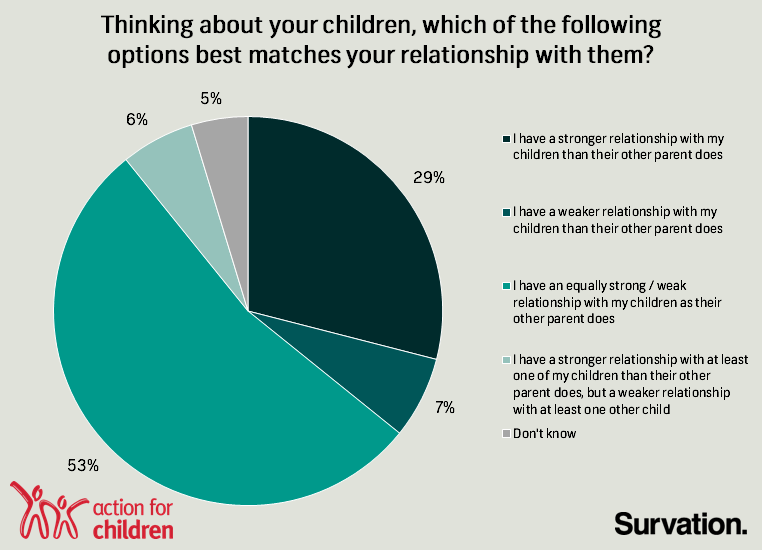 Almost twice as many mums (38%) claim that they have a stronger relationship with their children than the other parent does compared to dads (20%), according to a new online poll on behalf of Action for Children. Survation interviewed 2,037 UK parents aged 18+ from 20th-30th July 2015. Parents with more than one child were given a chance to express the view that they have a stronger relationship with at least one of their children than the other parent, but a weaker relationship with at least one other child. Over one in ten (12%) parents with more than one child expressed this view. Of parents who had three or more children, this almost doubled to more than one in five (21%) who said that they have a stronger relationship with at least one of their children than the other parent, but a weaker relationship with at least one other child. Of the parents who have a weaker relationship with their children than the other parent does, well over a third (38%) gave the reason for this weaker relationship as “It’s natural for children to be closer to one parent than the other”. 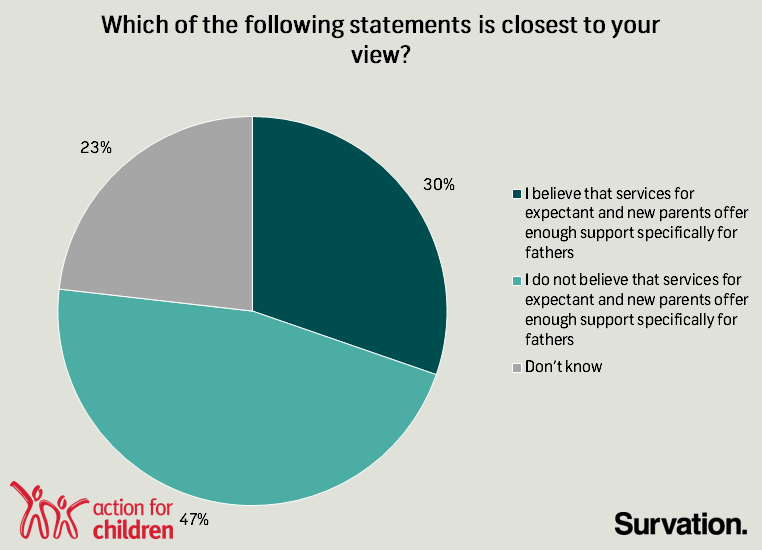 The research also shows that nearly half (47%) of parents do not believe that services for expectant and new parents offer enough support specifically for fathers. Interestingly, there was no statistically significant gender difference for parents who shared this view.